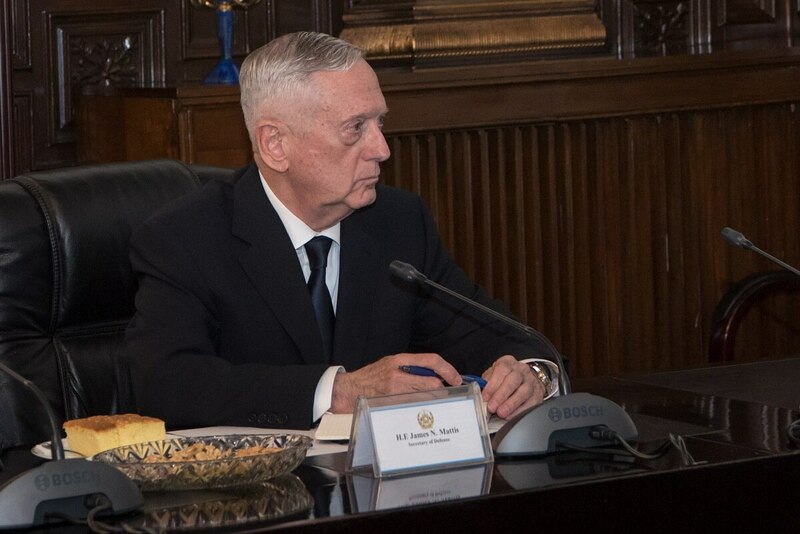 WASHINGTON — This week’s deployment of military personnel to Capitol Hill is lead by Defense Secretary Jim Mattis, who will appear before the House Armed Services Committee to discuss the president’s fiscal 2019 budget request. That hearing is likely to wander into a host of other issues raised by House members, anxious about border security, Syrian instability and local base requests. But Mattis’ appearance is just one of a dozen events to include testimony from defense officials before Congress. Committees will focus on cyber security, nuclear security, aviation and naval priorities and special forces requests. Meanwhile, in preparation for confirmation hearings for the next Veterans Affairs secretary, senators will hold a confirmation hearing for the department’s top benefits official on Wednesday. The Veterans Benefits Administration has been without a permanent head since October 2015. Committee members will hold a field hearing in Texas to discuss the response to Hurricane Harvey, including military support to local rescue efforts. Air Force Gen. Darren McDew, head of U.S. Transportation Command, will testify before the committee on the fiscal 2019 budget request. Outside experts will testify before the committee on issue of threats to democracy and corruption in Western Hemisphere governments. The committee will consider the nomination of Kirsten Madison to be assistant secretary of state and Thomas Hushek to be ambassador to South Sudan. Outside experts will testify before the committee on cyber threats facing American interests. Special operations officials from each of the four services will testify before the committee on the fiscal 2019 budget request. Lt. Gen. Samuel Greaves, director of the Missile Defense Agency, will testify before the committee on the fiscal 2019 budget request. The subcommittee on memorial affairs will consider a series of pending bills. House members will have an opportunity to offer their priorities to the committee for the upcoming annual defense authorization bill debate. The subcommittee on economic opportunity will consider a series of pending bills. Outside experts will testify before the committee on North Korea’s latest diplomatic outreach efforts. Defense department officials will testify before the committee on nuclear weapons policy and the fiscal 2019 budget request. Service logistics and procurement officials will testify before the committee on the country’s defense industrial base and its effect on military readiness. The committee will consider two nominations, including Paul Lawrence to be VA under secretary for benefits. Amd. Michael Rogers, head of U.S. Cyber Command and the National Security Agency, will testify before the committee on cyber threats facing American interests. Secretary Of The Army Mark Esper and Army Chief of Staff Gen. Mark Milley will testify before the committee on the fiscal 2019 budget request. Service installation and logistics officials will testify before the committee on the fiscal 2019 budget request. Defense Secretary Jim Mattis and Joint Chiefs Chairman Gen. Joseph Dunford Jr. will testify before the committee on the fiscal 2019 budget request. Aviation officials from the Air Force, Navy and Marine Corps will testify before the committee on the fiscal 2019 budget request. The committee will hear from outside experts on national security risks associated with foreign investment issues. The committee will head from outside experts on national security risks posed by illegal immigration. Navy development officials will discuss the concept of a 355-ship service and the fiscal 2019 budget request. Service personnel officials will testify before the committee on the fiscal 2019 budget request.